Education: Operation Lifesaver strives to increase public awareness about the dangers around the rails. The program seeks to education both drivers and pedestrians to make safe decisions at crossings and around railroad tracks. Operation Lifesaver started in Idaho in 1972 when the national average of collisions at highway-rail crossings exceeded 12,000 annually. 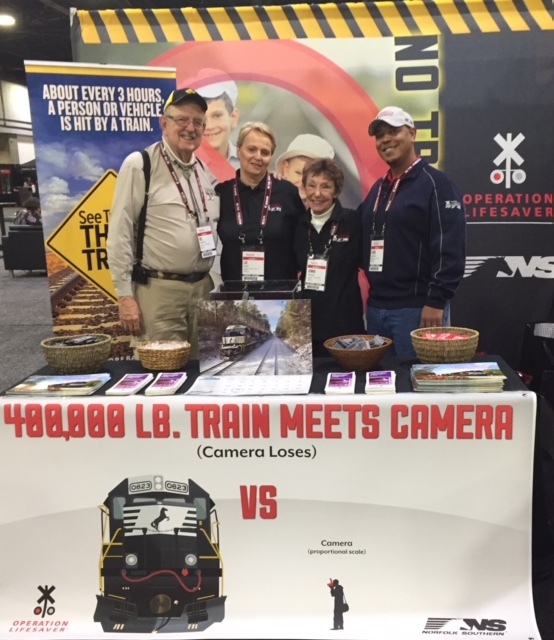 A six-week public awareness campaign called "Operation Lifesaver" was sponsored by the office of Governor Cecil Andrus, the Idaho Peace Officers and Union Pacific Railroad as a one-time, one-state initiative. During the campaign's first year, Idaho's crossing-related fatalities dropped by 43 percent. The next year, the Operation Lifesaver campaign spread to Nebraska where their collision rate was reduced by 26 percent. 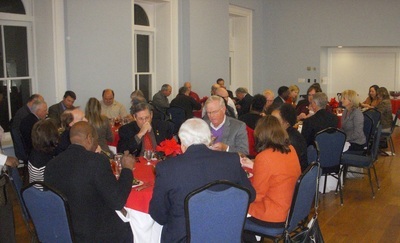 Programs were started in Kansas and Georgia the following year, in 1974, and similar success was experienced. Georgia reduced their crossing-related fatalities by 64 percent the first year. Between 1978 and 1986, while Operation Lifesaver operated under the auspices of the National Safety Council (NSC), other states started independent Operation Lifesaver programs. 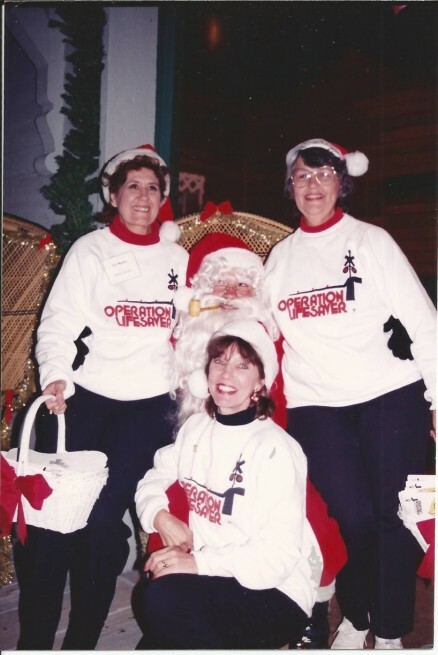 In 1986, the national program was released from the NSC and incorporated as a national, non-profit, educational organization with IRS Code 501(c)(3) tax-exempt status. 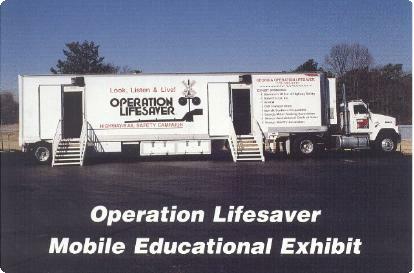 Georgia Operation Lifesaver began in 1974, under the auspices of the Georgia Safety Council, until 1988 when a full-time state coordinator was retained to re-organize the state program. 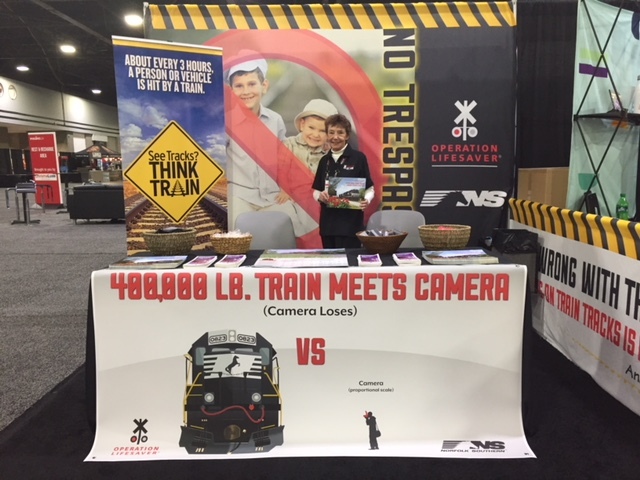 Georgia Operation Lifesaver is now incorporated in the state of Georgia as a non-profit, tax-exempt, educational organization for highway-rail grade crossing safety and trespass prevention. 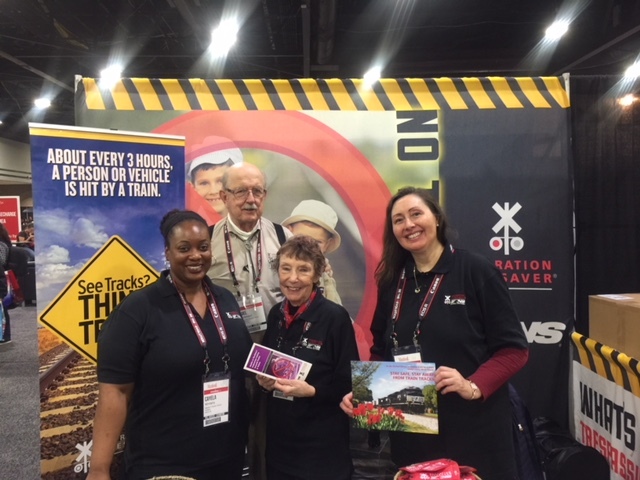 Currently, there are over 70 active affiliate members including federal, state and local governmental agencies; businesses (including the state's railroads); civic and service organizations; and other volunteer groups dedicated to safety at grade crossings and around tracks. Free programs are presented to schools, businesses and civic organizations as well as specialized programs for school bus drivers, professional drivers, law enforcement and emergency responders. 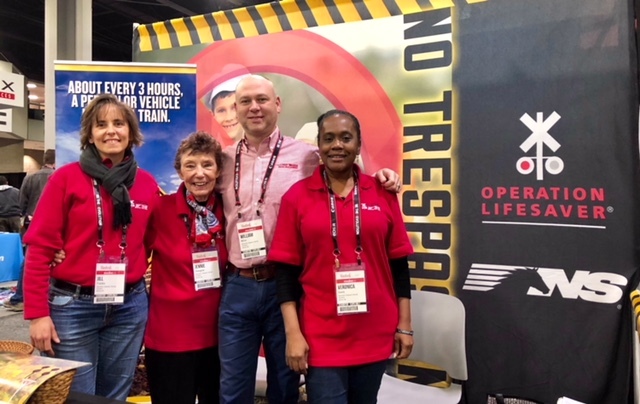 Over 100 Operation Lifesaver Authorized Volunteers (OLAVs) facilitate free presentations to educate children and adults about rail safety. 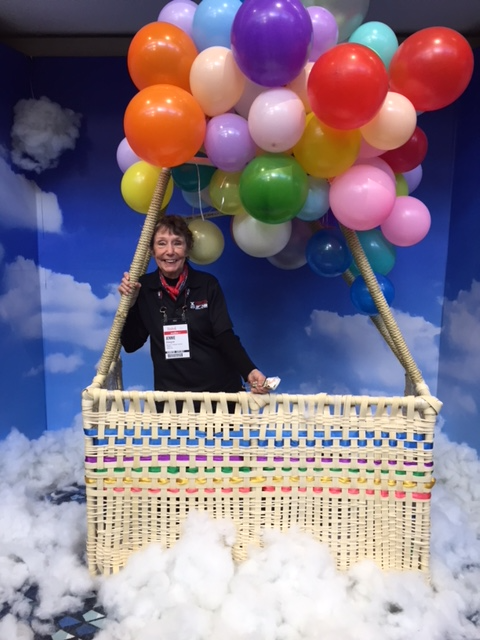 To request a free presentation, or to learn more about Operation Lifesaver, please contact us. NOTE: This is a tentative list of special activities (subject to change) and does not include general OL public presentations at schools and businesses. Please call 770-393-2711 or email gaol@mindspring.com for updates or changes as new activities are added daily, or for more information on any of the listed events. NOTE: Other May events being scheduled; check website for updates. Full Service Railroad Consulting, Inc.
Georgia Midlands Railroad Company, Inc. Approximately every three hours, either a vehicle or a pedestrian is struck by a train in the United States. That's 8 incidents each day! A motorist is 20 times more likely to die in a crash involving a train than in a collision involving another motor vehicle. More people die in highway-rail grade crossing crashes in the United States each year than in all commercial and general aviation crashes combined. Most crashes occur within 25 miles of the motorist's home. 55 mph = a mile or more or 18 football fields! 79 mph = a mile or more or 18 football fields! The majority of highway-rail crashes occur when the train is traveling less than 30 mph. Railroad tracks, trestles, yards and equipment are private property. Walking or playing on them is illegal – trespassers are subject to arrest and fines. Too often the penalty is death. *2018 Federal Railroad Administration preliminary statistics (www.fra.dot.gov). Never drive around lowered gates – it's illegal and deadly. If you suspect a signal is malfunctioning, call the 1-800 number posted on or near the crossing signal or your local law enforcement agency. Never race a train to the crossing – even if you tie, you lose. Do not get trapped on the tracks. Only proceed through a highway-rail grade crossing if you are sure you can completely clear the crossing without stopping. Remember, the train is three feet wider than the tracks on both sides. If your vehicle stalls on a crossing, immediately get everyone out and far away from the tracks. Call your local law enforcement agency for assistance. Look for a 1-800 emergency notification number nearby to contact the railroad. At a multiple track crossing waiting for a train to pass, watch out for a second train on the other tracks, approaching in either direction. Do not be fooled by the optical illusion ­ the train you see is closer and faster moving than you think. If you see a train approaching, wait for it to go by before you proceed across tracks. OL Night at the Braves, when Bobby Cox retired. 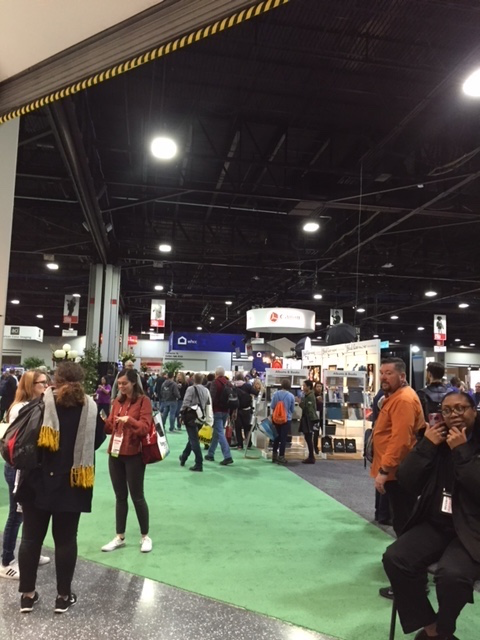 Convention and Expo in Atlanta. Copyright 2017 Operation Lifesaver, Inc.